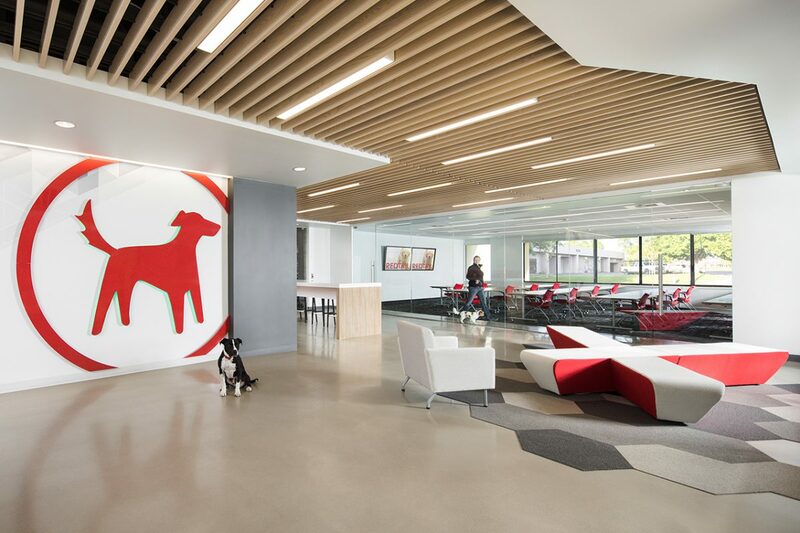 A sentimental logo inspires design of a dog-friendly workplace. 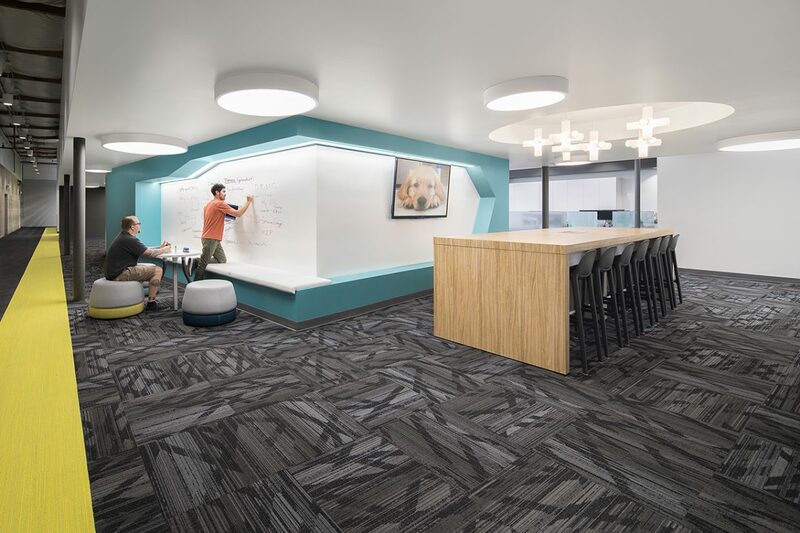 Rocket wars, zombie hunts, and an open door dog policy embody the vibrant culture of Redtail Technology. 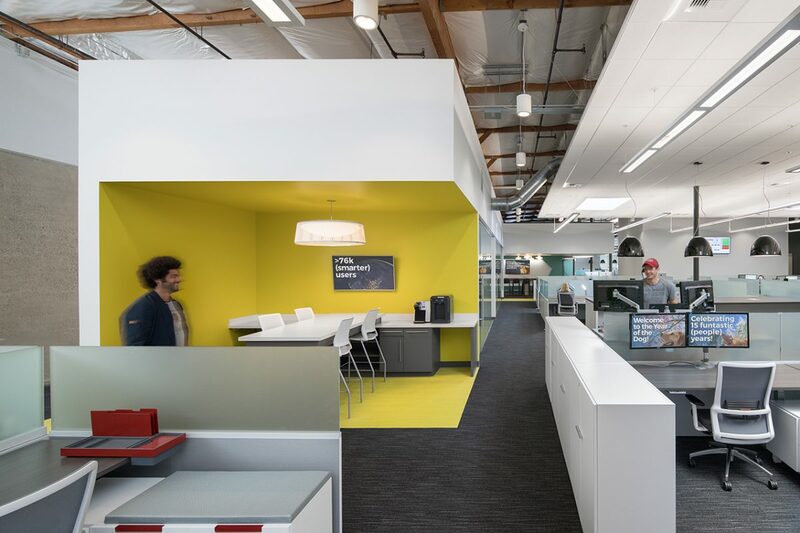 The CRM development firm acquired a 28,000 SF optical laboratory that RMW designed to capture a balance of the brand’s playful nature and edgy sophistication. Throughout the space, thoughtful circulation emerges from the seamless merger of two warehouse buildings. 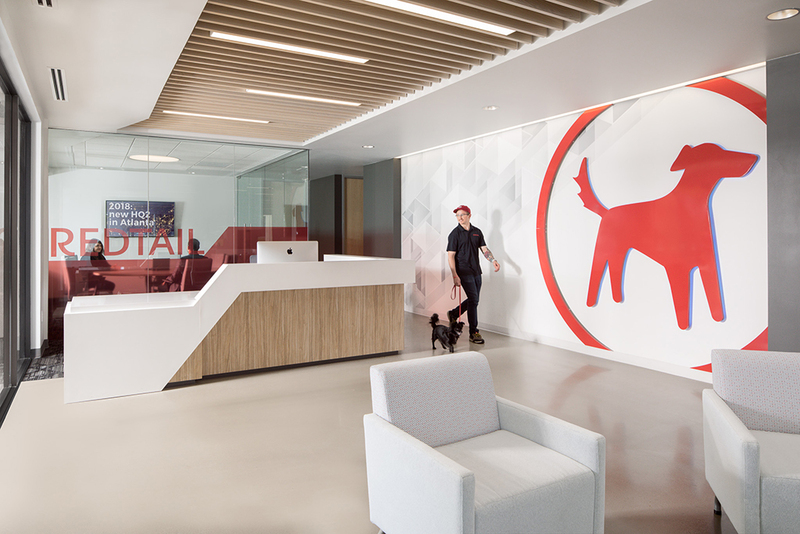 Economic use of the red denotes the CEO’s dog, name of the firm and logo muse, Redtail. Irregular soffit forms imply the motion of an evolving technology environment. 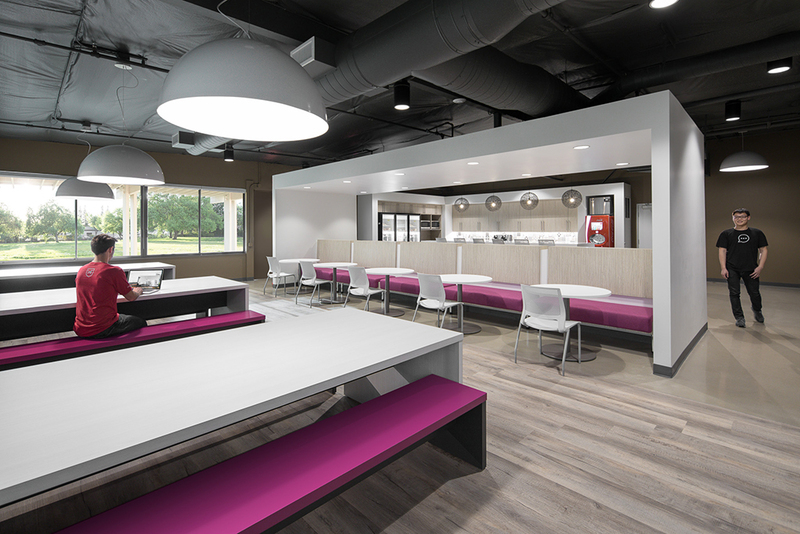 These shapes continue through the open office and connecting conference rooms while expanding the palette to sportive colors, vibrant graphics, and dramatic lighting. 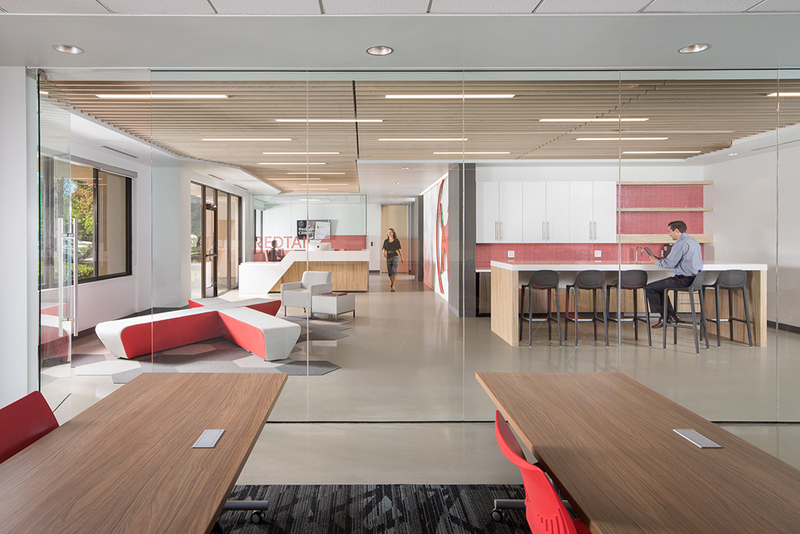 Suggesting the frame of each department, strategically positioned large bar height tables support deliberate and serendipitous collaboration. 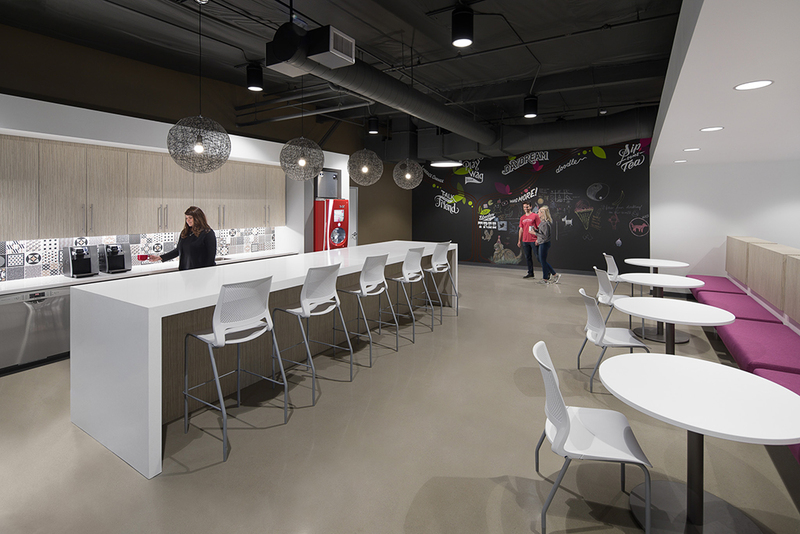 Punctuating the idea of work and play, the game lounge highlighted by a Nigel Sussman mural, and the mezzanine featuring an unexpected slide anchor respective ends of the central neighborhood to offer an escape for leisure activities.